The 2011 16k adventure game I wrote for the Atari 2600/VCS. In it, you assume the role of Panky the Panda, on an epic quest to save your kidnapped brother from evil poachers who want nothing more than to chop off his you-know-what and sell it on the black market as an aphrodesiac. Peace-loving though you may be, you're not just going to sit back and let that happen. Your goal is to jump your way around 120+ screens of the poachers' underground lair, collecting 6 keys and various other items needed to unlock doors and complete the quest to save your brother. The poachers' lair is packed with various minions as well as secret rooms disguised as unassuming walls, though, so stay on the lookout! 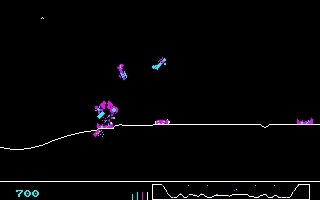 2008 4k artillery shooting game I wrote for the Atari 2600/VCS. This was first Atari 2600 homebrew I made. It's a simple 1 or 2 player artillery shooting game. The terrain in the game is randomly generated, and you can adjust the terrain roughness using the difficulty switches. A LEGO (R) utility program I wrote in Java. 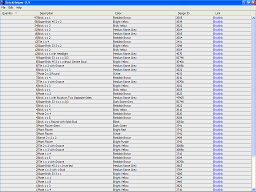 It allows you to open an LXF file (aka LEGO (R) Digital Designer Model file), then export an inventory of your parts into either CSV or Bricklink.com XML format. By exporting in Bricklink.com XML format, you can then upload your parts list onto their website and find used parts from their online distributors. A port I did of the classic DOS game 'Sopwith' for the Nintendo Gamecube & Wii. Not quite as impressive an achievement as it sounds, though - it's actually a port of 'SDL Sopwith' by Simon Howard, and he did most of the legwork in converting the original DOS game written by David L. Clark into a game that is now easily portable between systems. 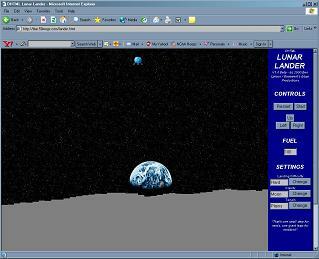 An HTML 5 game I submitted to the JS1K contest a number of years back. As I said in the entry description: SquareRaid is a lunar lander type game... except instead of a lander, you're a square, and instead of landing, you're mercilessly carpet-bombing evil enemy squares, and instead of taking place on the moon, it's on earth. Other than that: exactly the same. Controls are W/A/D for up/left/right and B for bomb! 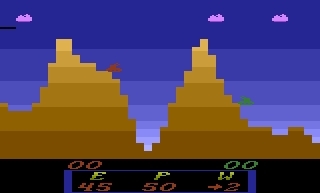 Score appears in the upper left corner of the screen.